Seminaries are a gift to the Church in many ways, but so much of what pastors, missionaries, and ministry leaders need to know about serving the church cannot be learned in a classroom. We believe the education of future ministers requires real church experience. Therefore, our internship program seeks to expose future pastors and leaders to the typical ebb and flow of local church ministry and to equip them with a pastoral, ecclesiological grid for the care for the people of God. What qualifications are necessary to be an elder? What’s the job description of a pastor? What is a local church? What is the mission of the church? Is church membership both biblical and necessary? How does one build a culture of discipleship in the local church? God’s Word is not silent on these matters. So, interns read significant works on these issues, discuss them in a safe community, watch as these principles are put into practice at Whitton, and are given hands-on experience. Our internship program is open to whether you hope to serve in vocational ministry or not. So, our program is elastic enough that we can mold it to your stage of life, ministry calling, and experience level. Our aim is to train and provide opportunities for humble servant-leaders who know that they aren’t perfect. c. This role provides entry-level experience working in and observing a variety of ministry spheres for personal growth, exploration of a call to vocational ministry, and ministry competence. d. Applicants to this position would be expected to officially join Whitton during their internship. c. This role is specifically for people headed toward vocational ministry (pastors, church planters, and missionaries, etc.). Due to the larger commitment and longer investment, residents will be afforded more opportunities to teach, lead, and observe leadership meetings. e. Additionally, although a position cannot be guaranteed, successful residents are afforded support and networking that comes from a cumulative 20+ years of ministry in multiple states and countries. Successful residents can expect to receive a “sending” and future support from our pastor and church family. f. Applicants to this position would be expected to officially join Whitton during their residency. One way that we seek to equip ministers is through the Ministry Apprenticeship Alliance (MAA). Whitton, Church on Mill, and Trinity Bible Church serve The Gospel Coalition Arizona by being host sites for the MAA for all TGC AZ member churches. 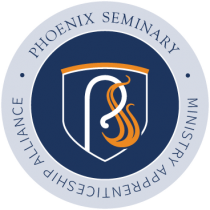 This program, through Phoenix Seminary, is one of a kind. Church interns (or residents) on church staff who also are enrolled in the seminary are able to get seminary credit for on-site classes and their internship. A student would need to go to either Whitton Avenue Bible Church (central valley site), Church on Mill (east valley site), or Trinity Bible Church (west valley site) for class time once a week, but internship hours can happen in any TGC AZ member church. Interns generally commit to a semester-long (5 months) volunteer position, spending several hours per week serving in particular areas of need in the church. The intern position is designed for personal growth, exploration of a call to vocational ministry, and early mentoring for future ministry. Internships are often people’s first exposure to observe church leaders while gaining critical serving experience. Between studying and serving our interns allocate about 10 hours per week to the internship. Under supervision, interns and residents will gain experience in various areas of the church, such as teaching, music, pastoral leadership, church polity, urban ministry, missions, and missions. We aim to help any teachable person to gain greater clarity in their calling and see them develop in their heart (character & affections), head (theology), and hands (ministry competence). We welcome applications from men and women who desire to be equipped for vocational or non-vocational ministry and who are able to affirm Whitton’s doctrinal and distinctive statements and become members of the church. Is This Internship for You? If you are looking for an easy opportunity for career advancement in a perfect church, this is not the program for you. Whitton is a work in progress and we expect strong work from residents. If, however, you are looking for a church seeking to bathe all of church life in the Bible and expose residents to the complexities of ministry in the real world, we’d love for you to apply. Please submit an application as early as possible. Spots are limited. We look forward to hearing from you.